After participating in Vox’s training course back in 2015, Juliao was certified and deployed as an official Vox well mechanic in Mozambique’s Cabo Delgado Province. Juliao is married to Ana, has six children and lives in Mangoma, a community located about 9 miles (15km) from Mocimboa da Praia town. With a population of 3000+ people, the 3 pumps in Mangoma frequently break down from overuse. Juliao sadly remembers how (prior to his training) all the community’s wells would often stop working for months at a time. They would struggle to find a skilled mechanic to handle the repairs. If they located a mechanic, the fees were exorbitant. 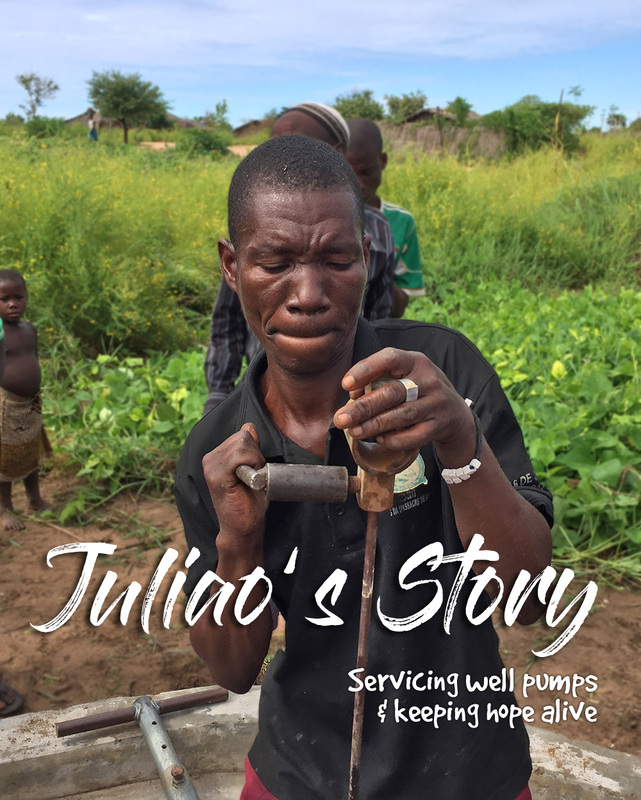 Over the past three years, Juliao has worked tirelessly to make sure Mangoma’s wells continuously pump clean drinking water. As a gift, he maintains the community’s wells for free and only invoices spare parts. A majority of his compensation comes from repairing wells throughout the province where he charges a fee of $10 to $20 per well. His well mechanic job has allowed him to purchase a bicycle, a radio, a cellphone, and at times he uses earnings to pay temporary labor to increase his farming area. Competent and committed well mechanics like Juliao not only keep the water flowing, they keep hope alive for thousands of people. Juliao, thank you for your passion, resolve, and life-giving service. When you give to Vox water projects, you help fund well mechanic training.